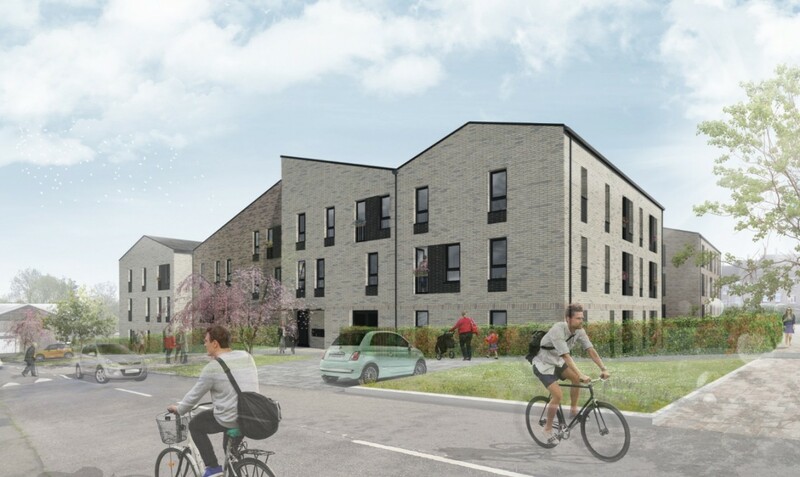 The City of Edinburgh’s small sites urban infill programme is continuing to bring disused land back into productive use with the submission of plans for 44 homes at Parkgrove Terrace, Clermiston. 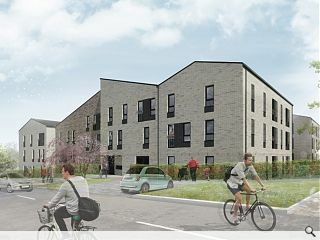 Designed by Barton Willmore on behalf of Robertson Partnership Homes the scheme will replace the site of a former care home with a ‘suburban block’ comprising four L-shaped buildings framing a terraced communal garden. The ‘robust’ development will position living rooms toward the street to provide passive supervision of the neighbourhood. The small sites programme includes six other locations at Royston, West Pilton Grove, Crewe Road Gardens, Dumbryden, Calder Gardens and Hailesland Place. Maybe it's just the renders but the first thing this brings to mind for me is a prison. Might be just me though. I'm all for a bit of stripped down minimalism now and again, but this is not easy on the eye. It looks more like an army barracks than residential housing. These are dreadful looking. The care home was more pleasing on the eye, but hang on they raised that to the ground. Now this.. 'incredibly grim' is correct. This Barton Wilmore crowd seem to have cornered the 'permanent Portakabin' design market. I am fairly certain the 'small sites' initiative should allow a series of gems to arise from unwanted land, rather than a series of Middle -Eastern labour camps. Either that, or they have submitted images of the Site offices in error.